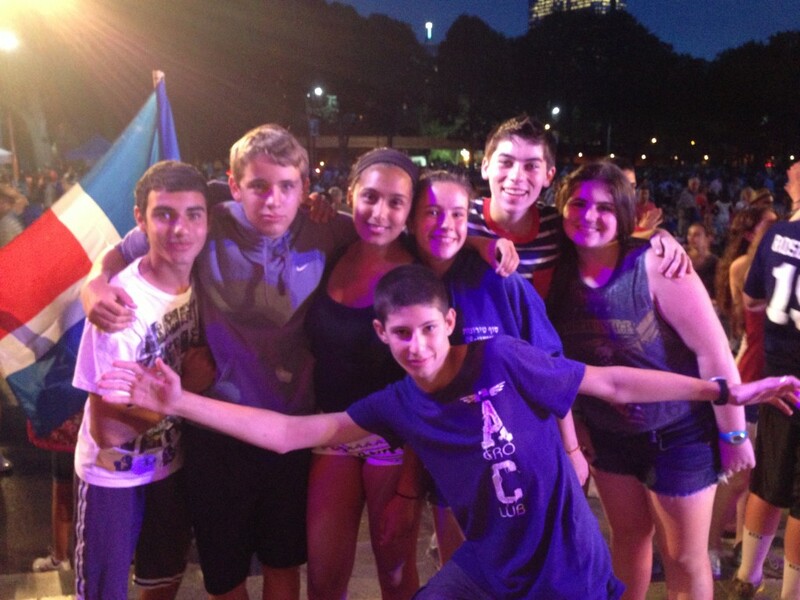 This past Wednesday Adat HaMachon headed on our annual trip – this summer to Boston! We arrived in the heart of Boston at the Boston Synagogue, dropped off our stuff, and headed to a free classical “Night in the Tropics” concert at the Hatch Shell. We ate dinner, danced and had a great time just hanging out on the grass. On Thursday we went to the movies where half the edah saw Monsters U and the other half saw Despicable Me 2 (and both got rave reviews from our chanichim!) We then headed over to the New England Aquarium, where we petted stingrays, saw penguins, and got introduced to Myrtle the famous NEA sea turtle. 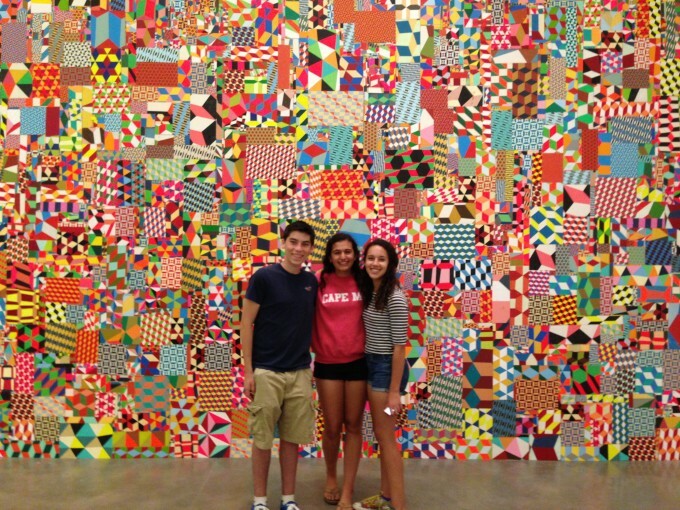 After a pizza dinner next to Rings Fountain, we walked over to the Institute of Contemporary Art which had an amazing pop-art/graffiti exhibit by Barry McGee. 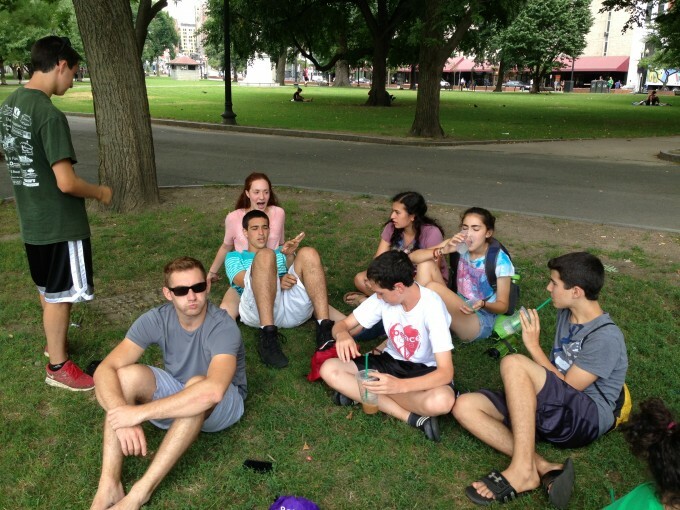 On Friday we stopped by Quincy Market where the chanichim had a mix of free time and a photo scavenger hunt. Then it was back onto the buses and back to camp! Special thanks to the Boston Synagogue for being such gracious hosts! All the chanichim couldn’t stop talking about the trip when they got back to camp; we’ll call that a success!